It was only very recently that we learned that TMNT cartoon classic Krang would be heading to the movie sequel, Out of the Shadows. But now thanks to a series of images from a toy catalogue, we know pretty much what he’ll look like—and it’s surprisingly faithful to the original Krang. The images, from a catalog of Playmates’ line of action figures for the upcoming movie, come via the Teenage Mutant Ninja Turtles fan forum The Technodrome, revealing a whole line of toys featuring the Turtles themselves, Stephen Amell’s Casey Jones, a new Shredder design that makes him seem less like an incredibly spiky Transformer like he did in the first film, and yes, Krang. 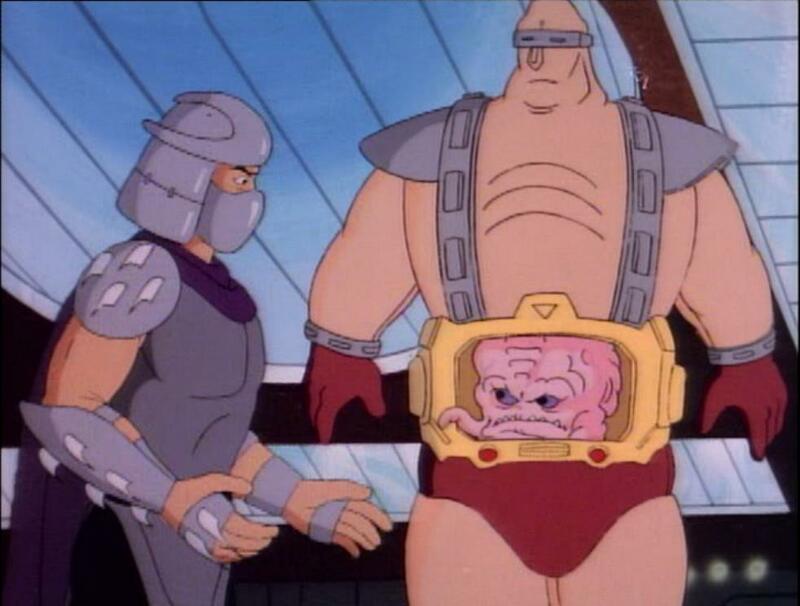 While the fleshy humanoid bio suit Krang runs around in is a little more clothed than it was in the original cartoon, and the color scheme has been changed to fit the film’s “realistic” aesthetic, it’s... not that bad? Like, it’s identifiable as Krang. It’s still a brainy pink blob in the torso of a giant dude. Perhaps given that Shredder has returned to something a bit closer to his original design, it’s not at all surprising that Krang is similarly a bit faithful, but still it’s appreciated. Sure, it’s kinda goofy, but it’s Teenage Mutant Ninja Turtles. There always should be a sort of goofiness to it. And if this is a sign of things to come, it’s looking like the movie sequel might be skewing a little more faithfully to the classic interpretations of the turtles than the much-maligned first ever did. Teenage Mutant Ninja Turtles: Out of the Shadows is due for release in June—presumably, Playmates’ line of toy tie-ins will make their own debut shortly before that.